Christopher Markus and Steve McFeely, of Captain America: Civil War and the next Avengers, discuss the Marvel movie long game. There is no “Last week, in the Marvel Cinematic Universe” refresher course at the start of Captain America: Civil War. (Even a concise, zippy-paced attempt would run at least five minutes long.) Instead, viewers are expected to be familiar with the 10 or so movies that preceded this installment. Anyone who hasn’t seen them all will still pick up enough information to follow along, and lose their minds over the skull-rattling, nerd-ambrosia action scenes. But those who have been paying close attention every step of the way will be rewarded by seeing expertly crafted long-form storytelling culminate in a huge payoff. Christopher Markus and Stephen McFeely aren’t the architects of the MCU—that would be studio head Kevin Feige and his inner circle—but they’ve become an indispensable part of the process. The screenwriting duo, who worship at the altar of Raiders of the Lost Ark and The Empire Strikes Back, first got involved when word circulated that a Captain America franchise was on the way, and decided they wanted in. The idea of a World War II-era superhero story held irresistible possibilities, many of which Markus and McFeely successfully conveyed in their pitch to Marvel. 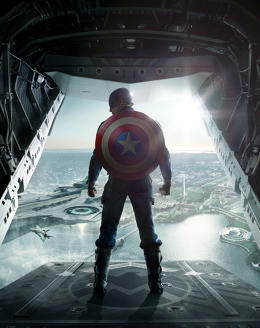 Midway through production on the first Captain America, though, the studio hired Joss Whedon to helm The Avengers. Captain America was no longer just the first installment in a hopeful franchise but a crucial thread in a much larger tapestry. The film even bore the gauntlet-tossing subtitle, The First Avenger. Although admittedly not as much a phenomenon as 2008’s Iron Man, the film that kicked off Marvel’s unstoppable renaissance, Captain America was a rock-solid hit. It was both a self-contained adventure movie, with its own distinct flavor, and a promise of much more to come in the future. Since then, the team of Markus and McFeely have become the go-to screenwriters for the MCU. They’ve written all the Captain America movies, along with Thor: The Dark World, and they’re currently at work on the next two Avengers installments–which apparently will no longer be titled Infinity War: Parts I and II. Although Markus jokes that the two are “always one draft away from getting fired,” it’s pretty clear that in the house of Marvel, they are more than just dependable contractors. 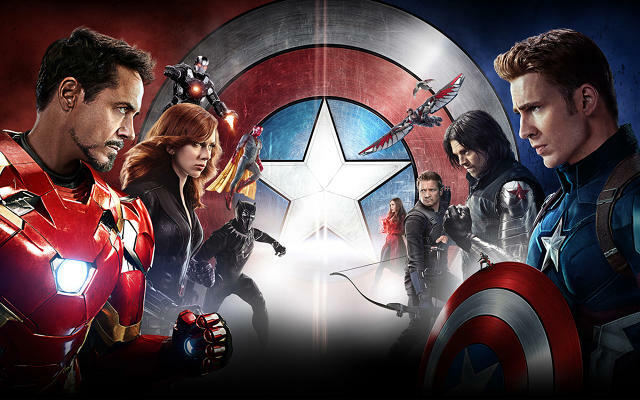 As Captain America: Civil War prepares to incite a box office melee this weekend, Co.Create spoke with Markus and McFeely about the challenges and best practices of telling a long, interconnected story, coordinating with other Marvel filmmakers, and whether there is any end in sight. “For the big action set pieces, we do the first draft ourselves and include the big touchstone points that happen, like in Civil War when [spoiler] and [spoiler],” McFeely says. “Then we crank out a 15, 20-page sequence that has fights and reversals and team-ups and some make it in and some don’t. Because then it gets turned over to a legion of people who are excellent at their craft. There’s the pre-viz guys who are just like almost game designers. They’re coming up with, ‘Well, Falcon could fly here through this hole and then come out the other side and get hit by this.’ And then our ridiculously good stunt guys say, ‘Here’s what’s humanly possible and what we can do here, here, and here.’ And then those things come back to us and we try to form them into where the characters need to go.